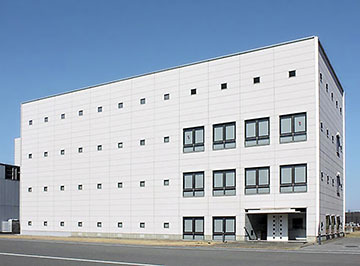 The Research Center for Environment-Preservation and Disaster-Resistant City, with its existing research and testing facilities was selected as part of the project,“ Environment Preservation and Disaster- Resistant City”, sponsored by the Academic Frontier Promotion Program of the Ministry of Education, Culture, sports, Science and Technology (MEXT). This project was carried out for ten years, from 1999 to 2008. The primary objective of the research project is to develop structures that can last for a long period of time and eventually help achieve a sustainable and highly disaster-resistant city. This center has the following facilities and testing equipment. These units are designed for conducting tests in the study of vibration applied to the ground and structures among others, such as in the event of an earthquake.